Second Saturdays – House Concerts Featuring “Heartstrings” at the Hagood Mill Historic Site and Folklife Center in Pickens. For more information call (864) 898-2936 or visit http://www.co.pickens.sc.us/CulturalCommission/CurrentEvents/default.aspx#AttheHagoodMill. Through May – Super STEM (Science, Technology, Engineering and Math) Saturdays at the Spartanburg Science Center in Spartanburg. For more information call (864) 583-2777 or visit http://www.spartanburgsciencecenter.org/. April 4 – iMAGINE UpState Festival in downtown Greenville. For more information visit http://www.imagineupstate.org/. April 4 – 5 – Historic Pendleton Spring Jubilee on the Village Green in Pendleton. For more information call (800) 862-1795 or visit http://www.pendletondistrict.org/jubilee/. April 9 – 11 – SpringSkunk Music Fest in Greer. For more information call (864) 233-8430 or visit http://www.albinoskunk.com/. April 10 – 11 – SCSC SpringFest at the Music Camp in Spartanburg. This outdoor event includes 15 Regional Bands. For more information visit https://www.facebook.com/events/503230489817957/. April 10 – 18 – “Steel Magnolias” at the Easley Foothills Playhouse in Easley. For more information call (864) 855-1817 or visit http://www.easleyfoothillsplayhouse.com/. April 10 – 19 – “Over the River and through the Woods” at the Oconee Community Theatre in Seneca. This is a hilarious family comedy appropriate for teens and adults. For more information call (864) 882-1910 or visit http://www.oconeetheatre.org/. April 10 – May 14 – “A Look Back at the Carolina Blues” at the Pickens County Museum in Pickens. For more information call (864) 898-5963 or visit http://www.co.pickens.sc.us/CulturalCommission/CurrentEvents/default.aspx#Programs. April 11 – South Carolina Chili Cook-Off Championship in downtown Belton. For more information call (864) 940-3111 or visit http://scchilicookoff.com/. April 11 – “Pictures at an Exhibition & Tchaikovsky’s Violin” at the Chapman Cultural Center in Spartanburg. For more information call (864) 596-9725 or visit http://www.chapmanculturalcenter.org/. April 11 – Early Spring Mountain Hearth Cooking and Andy Cohen Blues Concert at the Hagood Mill Historic Site and Folklife Center in Pickens. For more information call (864) 898-2936 or visit http://www.visitpickenscounty.com/vendor/61/hagood-mill-historic-folklife-center/. April 11 – Music on the Mountain at Table Rock State Park in Pickens. For more information call (864) 878-9813 or visit http://www.southcarolinaparks.com/tablerock/tablerock-bluegrass.aspx. April 12 – Pops Concert at Patrick Square in Clemson. For more information call (864) 656-3043 or visit http://www.clemson.edu/Brooks/events/. April 12 – ShalomFest at the Temple of Israel in Greenville. Come learn more about the Jewish culture, to include food and entertainment. For more information call (864) 292-1782 ext. *112 or visit http://www.templeofisrael.org/shalomfest . April 13 – 19 – “Twelfth Night” at the Brooks Center for the Performing Arts in Clemson. For more information call (864) 656-3043 or visit http://www.clemson.edu/Brooks/events/. April 15 – 25 – Clemson Blues Festival at various locations in Clemson. For more information call (864) 650-0585 or visit http://www.clemsonbluesfest.org/. 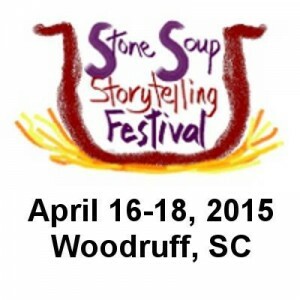 April 16 – 18 – Stone Soup Storytelling Festival held at various locations in Woodruff. Come enjoy the tails of a variety of storytellers. 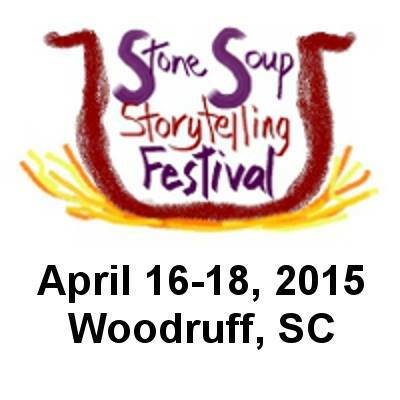 For more information call (864) 476-8770 or visit http://stonesoupsc.com/. April 17 – 18 – Pickens Azalea Festival in downtown Pickens. For more information visit http://www.pickensazaleafestival.org/About. April 18 – Goodwill Mud Run at SC-TAC (formerly the Donaldson Center) in Greenville. For more information visit http://goodwillmudrun.org/. April 18 – Bare Yourself Bike Ride in downtown Spartanburg. The event will be followed by an after party concert. For more information visit http://www.bareyourself.org/. April 18 – Kelley’s Kure 8K and 5K at Heritage Park in Simpsonville. Proceeds for this event will benefit the South Carolina Ovarian Cancer Foundation. For more information call (864) 979-6432 or visit http://go-greenevents.com/event/id/4481. April 19 – Seek and Snap to be held in downtown Greenville. This is a digital scavenger hunt (2 to 4 person groups) with proceeds to benefit Let There Be Mom. For more information call (864) 608-9819 or visit http://lettherebemom.org/seek-n-snap/. April 23 – May 3 – The Great Anderson County Fair at the Anderson Sports and Entertainment Center in Anderson. For more information call (864) 757-3022 or (864) 296-6601 or visit http://thegreatandersoncountyfair.com/. Through May 17 – “Life: A Journey through Time” at the Museum of York County in Rock Hill, displaying a series of photographs that span the world throughout time. For more information call (803) 329-2121 or visit http://www.chmuseums.org/exhibits-myco/. Tuesdays to Sundays through August 30 – “Art & Imagination in Children’s Literature” at the Museum of York County in Rock Hill. For more information call (803) 329-2121 or visit http://chmuseums.org/exhibits-myco/#28. April 3 – Sarah Jarosz at the McCelvey Center in York. For more information call (803) 684-3948 or visit http://chmuseums.org/mccelvey/. April 4 – Aiken Horsepower Association Spring Fling held at the Aiken Mall off of Whiskey road in Aiken. Cars, trucks, and motorcycles will be judged and there will be food and activities throughout the day. For more information call (803) 270-3505 or visit http://www.aikenhorsepower.com/. April 11 – Edwin McCain at the Bundy Auditorium at the University of South Carolina Lancaster. For more information call (803) 289-1486 or visit http://www.lancastercitysc.com/performingarts.aspx. April 11 – “Who’s Sleeping in on Family Day?” at the Museum of York County in Rock Hill. Come learn all about bears. For more information call (803) 329-2121 or visit http://www.chmuseums.org/event/1749/. April 11 – Open Horse Show and Vendor Fair at the Gaston Farm Road Equestrian Center in Chester. 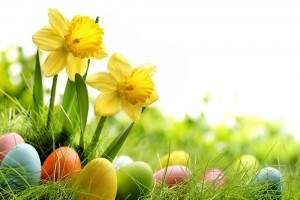 For more information call (803) 374-6255 or visit http://www.gastonfarmequestriancenter.com/events/. 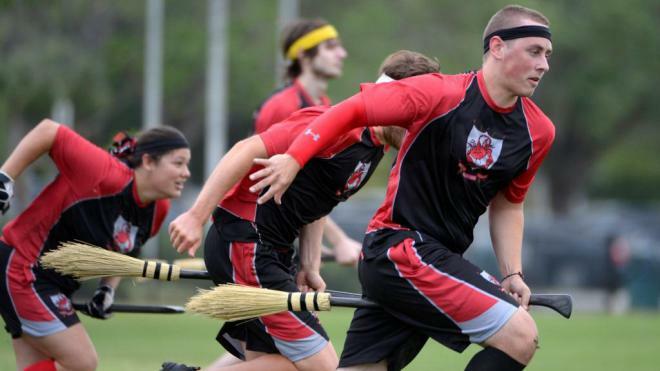 April 11 – 12 – IQA World Cup Quidditch Tournament to be held at Manchester Meadows in Rock Hill. If you are a Harry Potter fan, this is an event you are sure to enjoy! For more information email events@usquidditch.org or visit http://usqworldcup.com/. April 17 – 18 – Aiken Earth Day in downtown Aiken. The event will include a 5K and a variety of events to honor Earth Day. For more information call (803) 642-7767 or visit http://www.greenupaiken.com/. April 18 – Earth Day Celebration at the Dairy Barn in Fort Mill. For more information call (803) 547-4575 or visit http://www.ascgreenway.org/events/detail/earth-day-celebration-2. April 18 – Aiken Kite Festival to be held at Citizens Park in Aiken. For more information call (803) 642-7634 or visit http://www.tbredcountry.org/common/content.asp?CONTENT=9985&PAGE=311. April 21 – 26 – Come See Me Festival at a variety of locations in Rock Hill. This festival includes a pet fashion show, a plant sale, a BBQ cookoff, and much, much more. For more information call (803) 329-7625 or visit http://www.comeseeme.org/. Through April 19 – Festival of Houses and Gardens at various locations in Charleston. Enjoy a look at some of Charleston’s historical architecture and gardens and a rare opportunity to tour some of the most beautiful houses in Charleston. For more information call (843) 722-3405 or visit https://www.historiccharleston.org/Events/Annual-Festival-of-Houses-and-Gardens.aspx. Tuesdays – Sundays through April 23 – “Voices of the Island: The Cuban Art Collection of Reynir Llanes” at the Franklin G. Burruoghs-Simeon B. Chapin Art Museum in Myrtle Beach. For more information call (843) 238-2510 or visit http://www.artmuseumtouring.com/Chapin.html. Through May 10 – “1920’s – 1960’s: Five Decades of Style that Changed America” at the Charleston Museum, Americas first museum, in Charleston. For more information call (843) 722-2996 or visit http://www.charlestonmuseum.org/home. April 2 – 4 – Lamar Egg Scramble Jamboree held in downtown Lamar. For more information call (843) 639-2380 or visit http://www.lamareggscramble.com. April 4 – Race for the Inlet starting at Morse Park Landing in Murrells Inlet. There is both a 5K and an 8K run or walk. For more information call (843) 357-2007 or visit http://www.active.com/murrells-inlet-sc/running/distance-running-races/race-for-the-inlet-2015?int=. 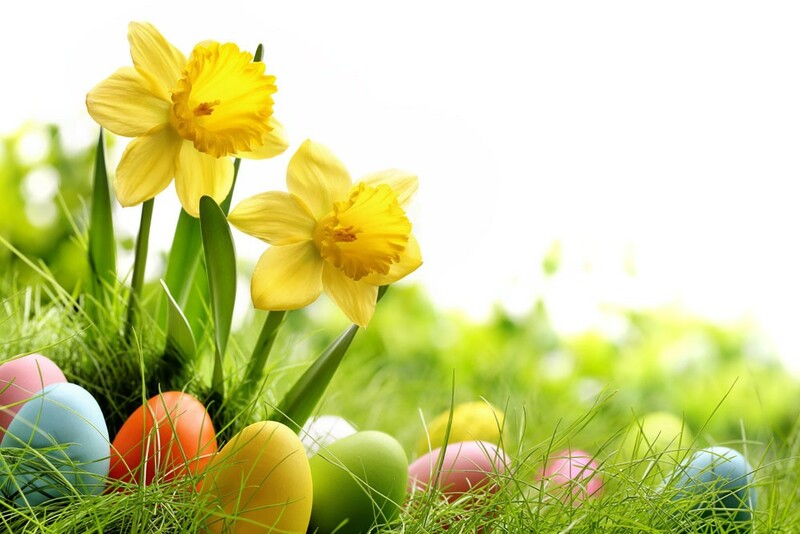 April 4 – Easter Egg Hunt at McLean Park in North Myrtle Beach. For more information call (843) 280-5584 or visit http://parks.nmb.us/Page.aspx?id=20. April 4 – Park Palooza at Myrtle Beach State Park in Myrtle Beach. This is a full day of events with activities for the entire family. For more information call (843) 238-5325 or visit http://www.southcarolinaparks.com/products/10003603. April 4 – Safe Kids Day at the North Charleston Coliseum & Performing Arts Center in North Charleston. For more information call (843) 792-5327 or visit http://www.safekids.org/skd2015/southcarolina. April 4 – 12 – Family Circle Cup in the Family Circle Stadium in Charleston. This is a 9 day women’s tennis tournament. For more information call (800) 677-2293 or visit http://www.familycirclecup.com/. April 8 – Cane Pole Fishing at Hobcaw Barony in Georgetown. For more information call (843) 546-4623 or visit http://www.myrtlebeachonline.com/2014/03/29/4121090/hobcaw-barony-foundation-celebrates.html. April 9 – 12 – Pee Dee Spring Plant and Flower Festival at the Pee Dee State Farmers Market in Florence. For more information call (803) 734-2144 or visit https://agriculture.sc.gov/30th-annual-pee-dee-spring-plant-flower-festival/. April 10 – Music in the Age of Charles Towne (1670-1783) at Cathedral Church of St. Luke and St. Paul in Charleston. For more information call (843) 722-7345 or visit https://www.facebook.com/events/747807298601548/. April 10 – 11 – 50+ Senior Life Expo at the Florence Civic Center in Florence. For more information call (843) 229-8856 or visit http://www.florenceciviccenter.com/events/detail/50-expo. April 11 – Spring Planting Day at the L.W. Paul Living History Farm in Conway. Come learn all about farm life in the springtime. For more information call (843) 365-3596 or visit http://www.horrycountymuseum.org/events/. April 11 – 5K RunDead Zombie Run at Legare Farms in Charleston. For more information call (843) 559-0788 or visit http://www.5krundead.com/charleston.html. April 11 – “Back Home Again: A Tribute to John Denver” by the Long Bay Symphony at the Myrtle Beach High School in Myrtle Beach. For more information call (843) 448-8379 or visit http://longbaysymphony.com/tickets/. April 11 – Historic Mitchelville 5K Run/Walk at Fish Haul Creek Park on Hilton Head Island. For more information call (843) 815-1718 or (843) 255-7301 or visit http://www.mitchelvillepreservationproject.com/5k/. April 11 – 12 – Art in the Park at Chapin Park in Myrtle Beach. For more information call (843) 446-3830 or visit http://www.artsyparksy.com/. April 11 – 12 – Pet Fest at Palmetto Islands County Park in Mount Pleasant. An event geared just to pets. For more information call (843) 795-4386 or visit http://ccprc.com/139/Pet-Fest. April 11 – 13 – Monday After the Masters at the House of Blues and Cye Club at Barefoot Resort in North Myrtle Beach. Entertainment provided by Hootie and the Blowfish. For more information call (843) 343-7451 or visit http://hootiegolf.com/. April 12 – DIVA Half Marathon and 5K on Main Street in North Myrtle Beach. For more information call (800) 733-7089 or visit http://www.runlikeadiva.com/. April 13 – 19 – RBC Heritage at the Harbour Town Golf Links on Hilton Head Island. For more information call (843) 671-2448 or visit http://www.rbcheritage.com/. April 14 – F.L.A.V.O.R. at the Myrtle Beach Convention Center in Myrtle Beach. Come enjoy the tastes of the area. For more information call (843) 855-0527 or visit http://www.myrtlebeachconventioncenter.com/calendar.php. April 16 – 19 – Charleston Race Week to be held in the Race Village at the Charleston Harbor Resort and Marina in North Charleston. This is one of the country’s biggest racing regattas. For more information call (843) 628-5900 or visit http://www.charlestonraceweek.com/. April 17 – Bob Dylan at the North Charleston Coliseum in North Charleston. For more information call (843) 529-5000 or visit http://www.northcharlestoncoliseumpac.com/events. April 17 – 19 – Charleston In-Water Boat Show held at Brittlebank Park and Bristol Marina in Charleston. This is the largest boat show of its kind in the southeast. For more information call (843) 250-9713 or visit http://www.charlestoninwaterboatshow.com/. April 17 – 19 – East Coast Canoe and Kayak Festival held at James Island Park on James Island. The weekend includes opportunities for instruction, trips, camping, and more. For more information call (843) 795-4386 or visit http://ccprc.com/1542/East-Coast-Paddlesports-Outdoor-Festival. April 18 – Soft Shell Crab Festival in the Old Village of Port Royal. For more information call (843) 592-1892 or visit http://www.oldvillageportroyal.com/event_ssc.htm. April 18 – Walk for Autism at Hampton Park in Charleston. In addition to the walk will be music, refreshments, and activities for the kids. For more information call (803) 469-3507 or visit http://www.walkforautismcharleston.org/our-main-event/. April 18 – Spring Jam Music Festival in The Grove at Patriots Point in Mount Pleasant. The event will include local bands, as well as bands from across the country and one musician from Argentina, performing arts, food and beverages, artisans and crafts. For more information visit http://www.springjammusicfest.com/.